Hands-on exploration, a sensory bin or table, gardening (real or pretend), playing with water and air - sensory activities are the best way to learn and explore the planet Earth and beautiful spring nature. These sensory play ideas are brought to you by The Weekly Kids' Co-Op. You can find our previous creative collection here: 8 Creative Spring Crafts. Mary Mary Miniature Gardens from Crafty Kids at Home. This beautiful activity has it all: a nature walk, making a garden in a box, singing with silver bells and cockle shells. Land, Air, and Water Sensory Bin from My Bright Firefly. Montessori inspired sorting and exploration, introduction to the globe. 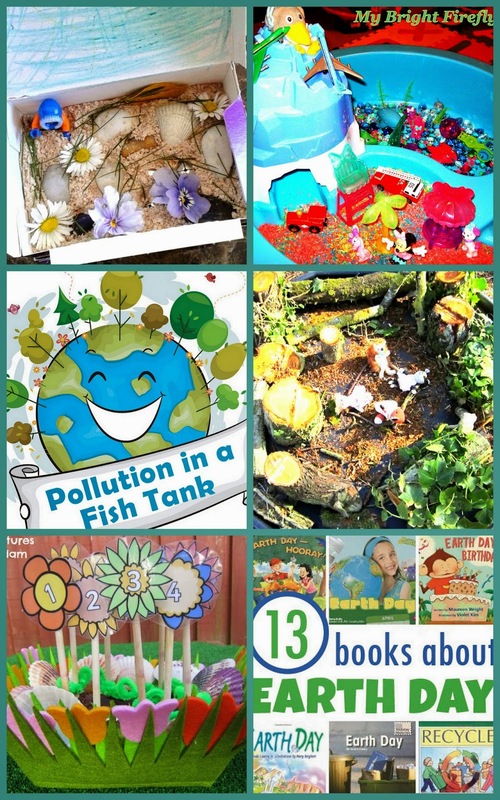 Pollution in a Fish Tank: An Earth Day Science Experiment from Christianity Cove. This science experiment is simple and easy to set up in your kitchen: Oil Spill science experiment. "We have to look at our world as the home God gave us," - a beautiful conclusion to the beautiful article! Nature Tuff Spot from Adventures of Adam. Take a look at this beautiful woodland for the favorite creatures to live in - set up by kids on a tray. Number Flower Garden from Adventures of Adam. Practice numbers and counting while creating a beautiful garden. The flowers printables are free when you sign up with the email. 13 Books about Earth Day for Kids from Gift of Curiosity. Impressive! There were 94 articles shared last week! Thank you so much to everybody who participated by reading, interacting, and sharing! 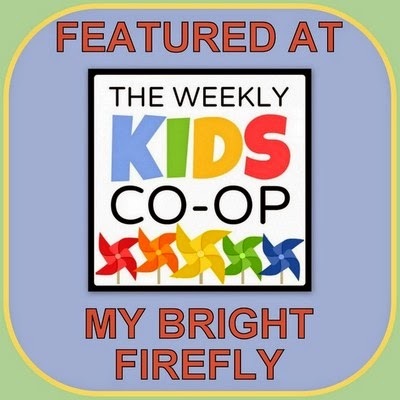 Follow Laura Flaute's board The Weekly Kids Co-Op on Pinterest.